Another image from Yellowstone. I just loved it there with such unique views to see. This steamy area with it's blue pools was almost alien looking. 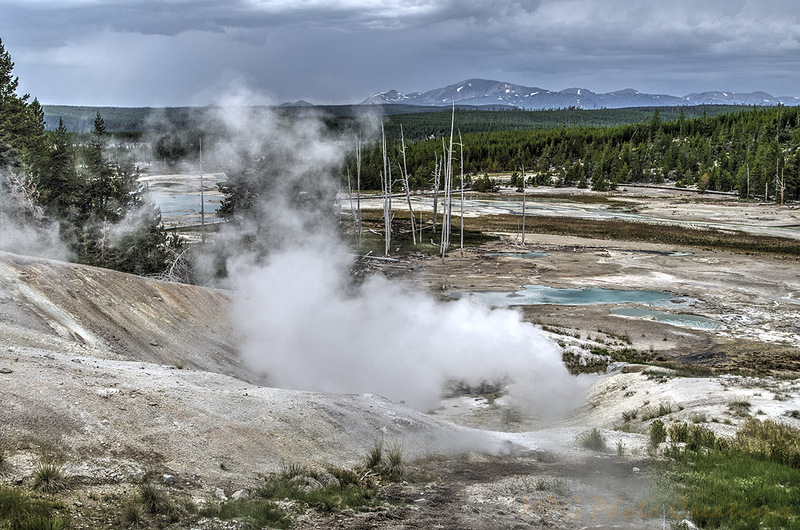 This is the Black Growler Vent in the Norris area of Yellowstone National Park. The Tetons can be seen in the distance.